In 1999, when Mary Evelyn McCurdy (Mev for short) was fifteen years old, she decided that she wanted to write and direct a play for the homeschooled children at her church in Cookeville, Tennessee. She called the group the Homeschool Dramatic Society. The following year, Mary Evelyn decided to write and direct another play. She opened this production to more homeschooled children, besides those at her church. By the next year, the Homeschool Dramatic Society was open to all homeschooled children in the Upper Cumberland area of Middle Tennessee. The first two musicals that Mev wrote and directed were performed on a simple stage in a church gym. The next five productions were done in a small theatre owned and operated by the Wesley Foundation. 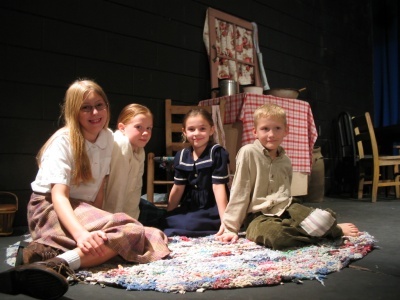 Since 2006, the Homeschool Dramatic Society has used the facilities of the Cookeville Performing Arts Center. 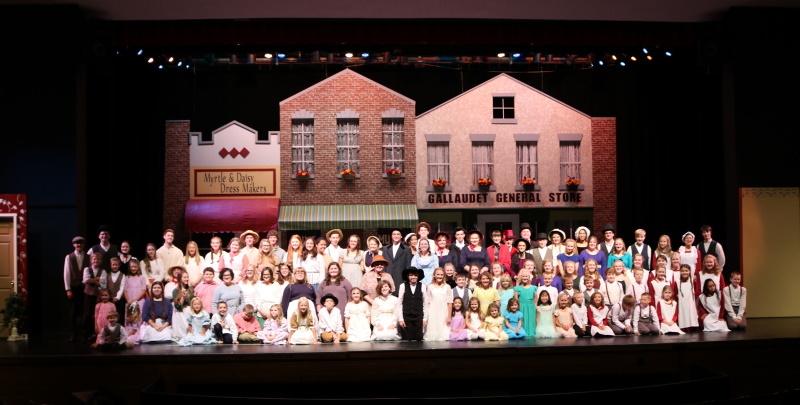 The Society now draws from several Middle Tennessee communities, and some participants have come from out of state to take part in the annual productions. You can purchase DVDs of Homeschool Dramatic Society productions to show to your family, church, or homeschool group. Mev also offers drama tips to help in your work with children. If you are looking for scripts to use with your group, please contact us.